Sign up for Broadjam today to follow Blue Coyote Band, and be notified when they upload new stuff or update their news! 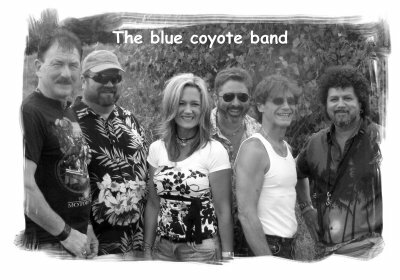 Blue Coyote Band members are multi talented musicians who will entertain you with top 40 country and new original songs they write and perform from the heart. They have opened for Tim McGraw, Travis Tritt and Leanne Rimes in Ft Laramie,Ohio. Eaton Rapids Michigan for Rare Earth. I know... what is a country band opening for rock bans...??? "Later" went # 1 in Country Charts in Soundclick.com and # 1 in traditional country charts. This is their Sixth song that reached # 1 in the charts in the last two years. They are on about 400 FM stations in Europe and 1,200 clear channels in the USA. Currently # 17 on the top 30 Country Count Down.